^ Dunne, Jim (June 1986). "Inside Detroit". Popular Mechanics. 163 (8): 40. Retrieved May 31, 2012. 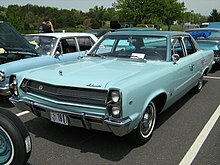 ^ "Can American Motors shed its sad-sack image?". Business Week. April 28, 1986. Retrieved May 23, 2012. ^ Foster, Patrick R. (2013). 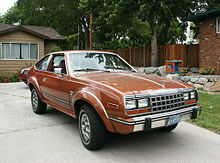 American Motors Corporation: The Rise and Fall of America's Last Independent Automaker. Motorbooks. pp. 63–65. ISBN 9780760344255. Retrieved July 11, 2017. ^ "What the new auto safety laws will mean to you". Popular Science. 190 (6): 82. June 1967. Retrieved July 11, 2017. ^ "The Code of Federal Regulations of the United States of America". U.S. Government Printing Office. 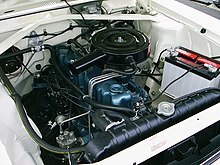 1966. p. 240. Retrieved July 11, 2017. ^ Cranswick, Marc (2011). The Cars of American Motors: An Illustrated History. McFarland. p. 11. ISBN 9780786485703. Retrieved July 11, 2017. ^ Auto Editors of Consumer Guide (October 26, 2007). 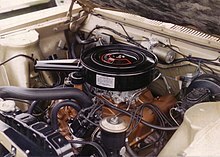 "Introduction to the 1965-1967 AMC Marlin". auto.howstuffworks. Retrieved July 11, 2017. 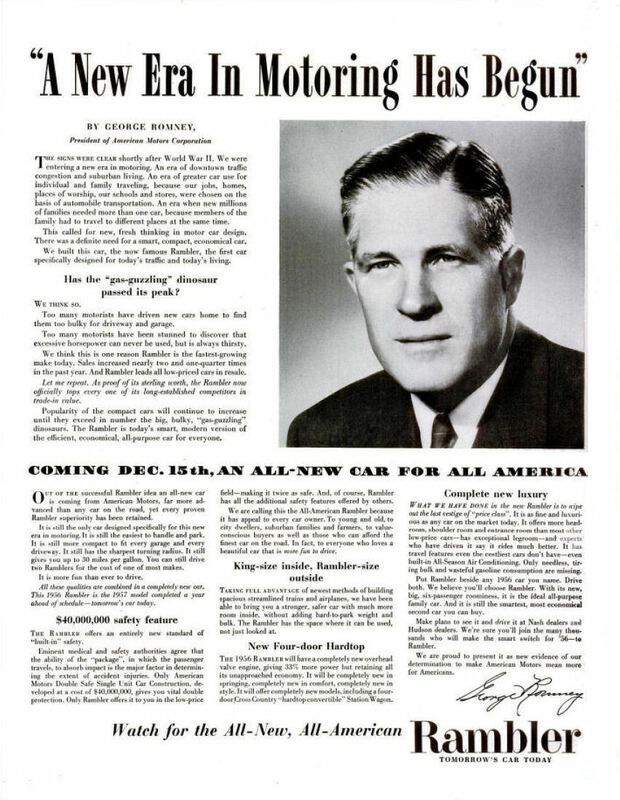 ^ "What's new at American Motors". Popular Science. 185 (4): 90–91. October 1964. Retrieved July 11, 2017. ^ Hedgbeth, Llewellyn. "Hitting the Brakes: A History of Automotive Brakes". Second Chance Garage. Retrieved July 11, 2017. ^ "History of Mitsubishi Motors - 1970s". Mitsubishi Motors. Retrieved December 10, 2017. 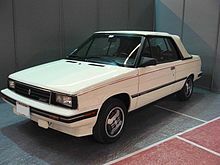 ^ "History of Mitsubishi Motors - 1980s". Mitsubishi Motors. Retrieved December 10, 2017. ^ "History of Mitsubishi Motors - 1990s". Mitsubishi Motors. Retrieved December 10, 2017. ^ "Fiat says merger into Dutch-registered FCA effective October 12". London, U.K. Reuters. October 7, 2014. ^ Taschler, Joe; Barrett, Rick (October 22, 2010). "End of the line for Chrysler engine plant in Kenosha". Journal Sentinel. Retrieved May 9, 2012. ^ "Demolition begins on Chrysler engine plant in Kenosha". Journal-Sentinel. December 8, 2012. ^ a b "Learn about our proud history, Windsor headquarters and Canadian facilities". 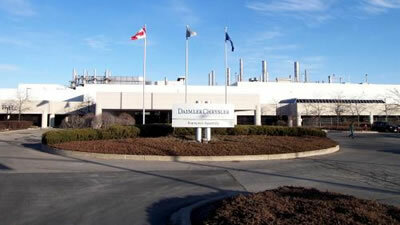 DaimlerChrysler Canada. Archived from the original on February 15, 2003. Retrieved January 26, 2015. 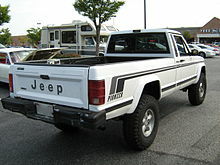 ^ a b "Trademark record for American Motors Corporation, 190 Sierra Court B-11, Suite 103, Palmdale, California". Tess2.uspto.gov. Retrieved February 18, 2014. 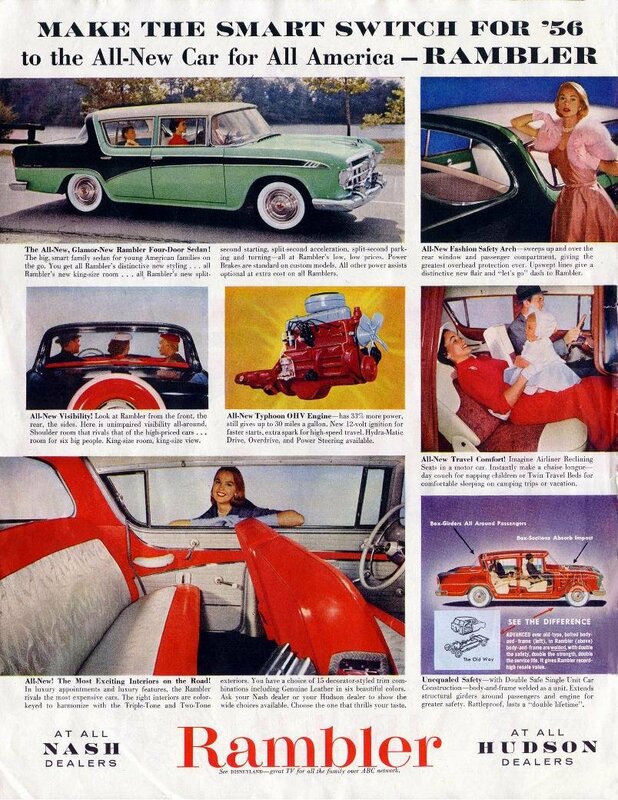 ^ "American Motors Corporation Home Page". Web.archive.org. Archived from the original on February 13, 2005. Retrieved February 18, 2014. ^ "Trademark registration by New Carco Acquisition LLC on December 20, 2011". Tess2.uspto.gov. Retrieved February 18, 2014. ^ "Trademark registration by American Motors Corporation on December 29, 1970". Tess2.uspto.gov. Retrieved February 18, 2014. ^ Zatz, David (December 23, 2010). 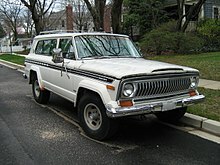 "Chrysler registers AMC, Tradesman". Retrieved February 18, 2014.